When we think about dangling things—in writing, anyway—we usually think of dangling modifiers, the grammatical fumbles that lead to sentences like, “After spending weeks in the forest, the town was inviting.” So, the town had spent weeks in the forest, eh? 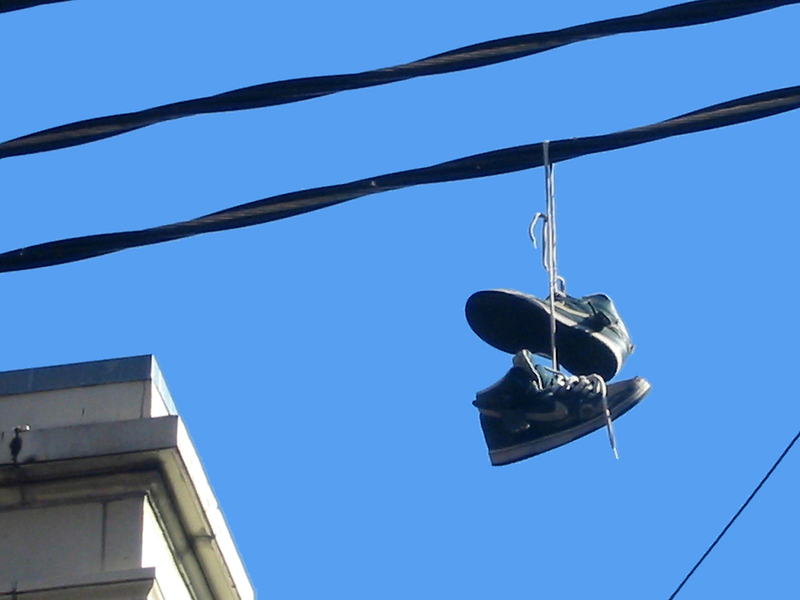 For this post, though, I’m thinking about a different kind of dangler, a story line or character the author lavishes some attention on, then forgets. It’s never developed, it’s never finished, it’s just left—you guessed it—dangling. She got wrapped up in moving the other characters, plots, and subplots forward and forgot about it. She had no idea how to finish the plot line or bring the character back in, and so never did, hoping the idea would finally come to her. She thought she finished had that work, but hadn’t. She cut the scene that finished off the plot line or character involvement during her editing for other reasons and didn’t realize how that affected earlier scenes. The character or plot line was one of her “darlings” and she couldn’t bear to cut it as she should have. Whatever the reason, there the plot or character dangles, twisting in the wind. Sticky notes or index cards that track each plot or character line, neatly spread out wherever there’s enough space: on a cork board, wall, or floor… until the cat or 2-year-old finds them. Playtime! I use an Excel spreadsheet that shows, scene by scene, who does what. Each scene gets its own row, each major character their own column, plus one for all the minor characters. This technique is better for tracking character appearances and disappearances but it could be modified to track plot lines. You can also use the table function word processors have but Word’s doesn’t work well for me. How do you catch danglers?